Are you and your friends sick of ordinary dinner party get togethers, or going out for drinks? If the answer is yes, then perhaps it’s time you started shopping with us! 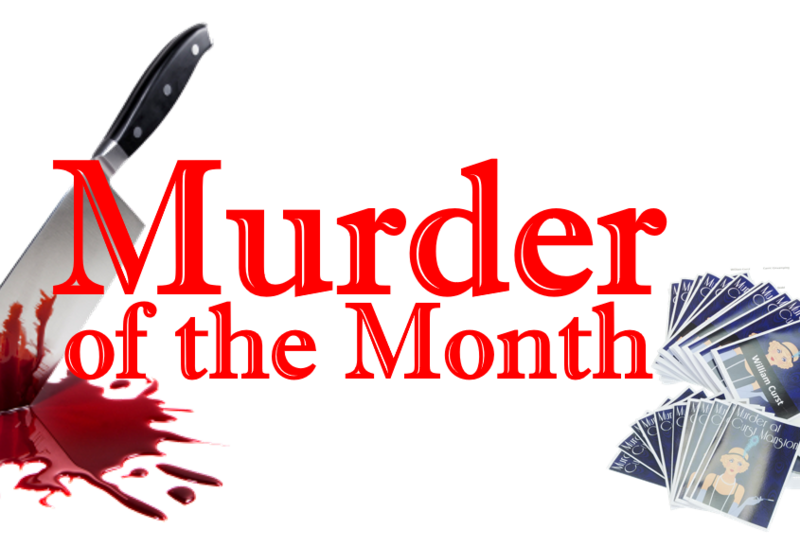 We’ve just launched “Murder of the Month” – which is a unique summer offer for 2018 and is a new way to find and play a recommended murder mystery dinner party game for the first timer. Between April and September we’ll be highlighting a “best seller” on Amazon to introduce customers to the best in murder mystery game entertainment. Each game will be suitable for a dinner party for 12 and for a limited time will be available for less than half price (but only on Amazon… yes I know this is annoying for our website users – but we have to do what is easiest for us – and right now – a special deal on Amazon is easier to achieve than tinkering with our website and putting it on here. Besides you get free shipping at Amazon if you’re a Prime member – something we can’t offer here as we don’t have the same volume deals with the Royal Mail). Anyway…Everyone loves the 1920s and as the decade has almost become synonymous with murder mysteries thanks the likes of Agatha Christie and Dorothy Sayers it makes sense to start our Murder of the Month promotions with a kit that sits nicely in the Golden Age of fiction. 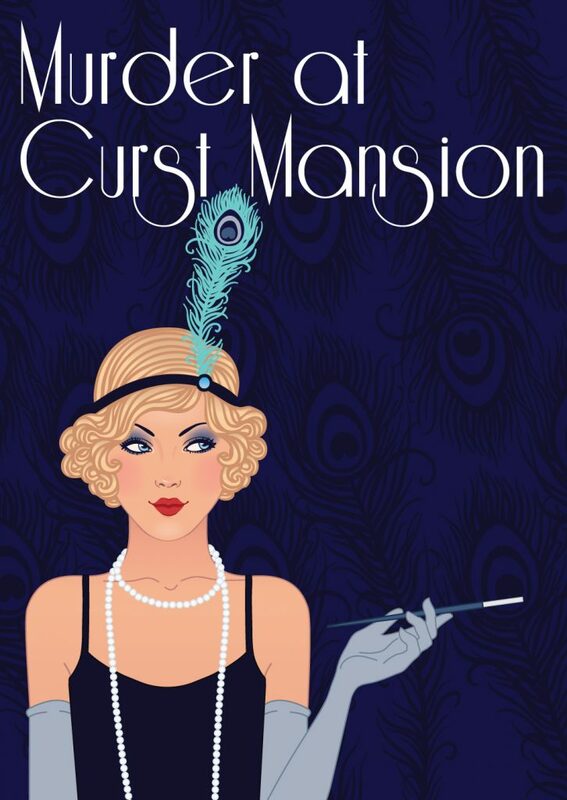 Murder at Curst Mansion is very much written in the style of the Crime writing greats and it’s a great excuse for friends and family to channel their inner flapper. As with all our kits – each box comes with full instructions, ideas for theming and everything you need to run the party: invitations and envelopes, booklets for each character and even includes some recipe suggestions. Each kit is carefully content rated to ensure you get the right plot for your group and they are all designed so that even total novices can play. Murder at Curst Mansion is a MATURE rated plot – meaning it’s not really suitable for children and tweenagers. But don’t despair – we will ensure some of our cleaner plots also many the promotion over the summer months. Keep an eye on our facebook page for the monthly promotions – or if you want to find out first – sign up to our newsletter.